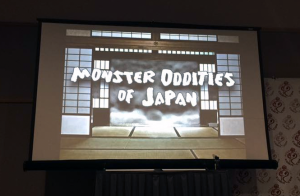 09.14.2016: Monster Oddities of Japan LIVE from Rose City Comic Con! 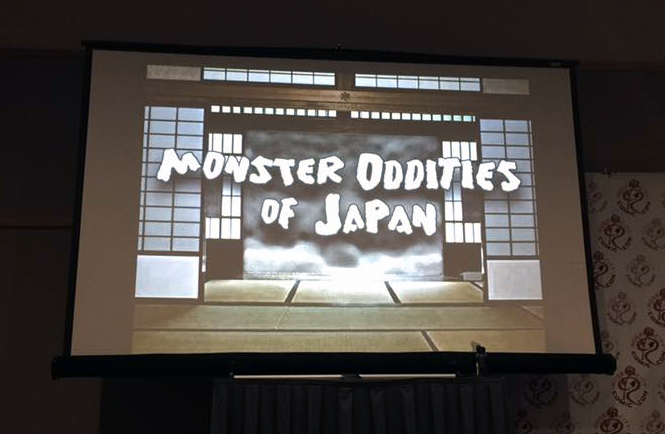 Join the Kaijucast in a broadcast version of the Monster Oddities of Japan panel from last weekend’s Rose City Comic Con! This past weekend, we attended Rose City Comic Con in our home town of Portland, Oregon. Wow – it was fantastic this year! Keith Foster and I tabled together and sold Kodoja comics, soundtracks and prints plus I was able to sell some Kaijucast and Kaiju Corps stuff too. We also had our mini Portland cityscape set up and had an amazing time talking to everyone who came by the booth about giant monsters — some folks even wanted a photo in the booth! Major thanks if you came by and supported the Monster Arts! In particular at the show, however, the Kaijucast put on a panel entitled Monster Oddities of Japan and I hope you enjoy this episode, which is the audio from that event. As I mention at the end, big thanks to Dave, Jeff, Bryan and Rachel for joining me in our presentation. Just a side note, at the end of the panel a young attendee shared what he considered to be the first ever giant monster movie with us, even though it was a cartoon and wasn’t from Japan and is just a short. It was cut out of the episode for reasons, but I figured for posterity I should add it to the show notes. You can watch Windsor McCay’s The Pet on Youtube here. We will be covering Legend of Dinosaurs and Monster Birds (1977) this month for our Daikaiju Discussion. If you have access to the film, you can also be part of the discussion. Just send in your thoughts, questions and reviews of the film before September 23rd to be included in the episode.